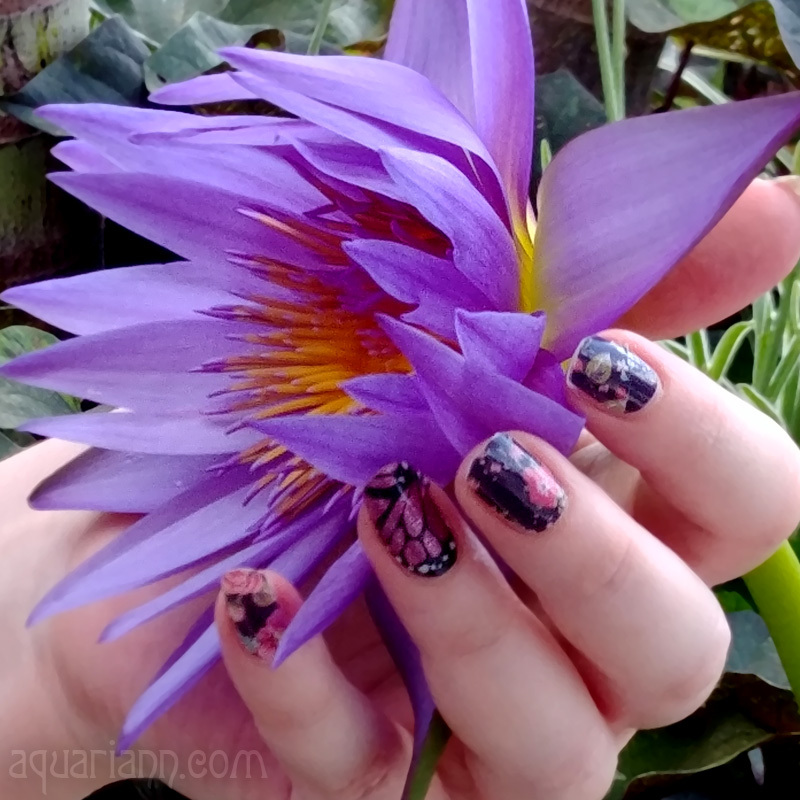 After realizing August is already half over, I decided I better wear my adorable Watermelon Tip nail wraps before summer sneaks into slumber. The season isn't the only thing that's ending - Jamberry Nails is retiring several nail designs at the end of the month to make way for their new fall catalog. Several of my favorite designs, including the fruity french tips above, are ripe for the picking! Thus I'm hosting a going going GONE party. Jamberry Nails is still offering a Buy 3, Get One 1 deal if you can't decide on just one sheet to harvest. 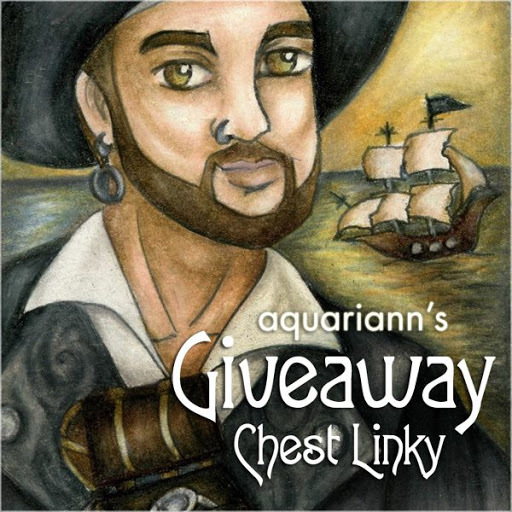 When buying, please find and select "Aquariann" in the list of names under party dropdown at checkout to help me earn hostess rewards. Want to be a guest blogger for my Manicure Monday when I don't have new nails of my own to show off? Please contact me using the form on my contact page if you're interested in a free feature. 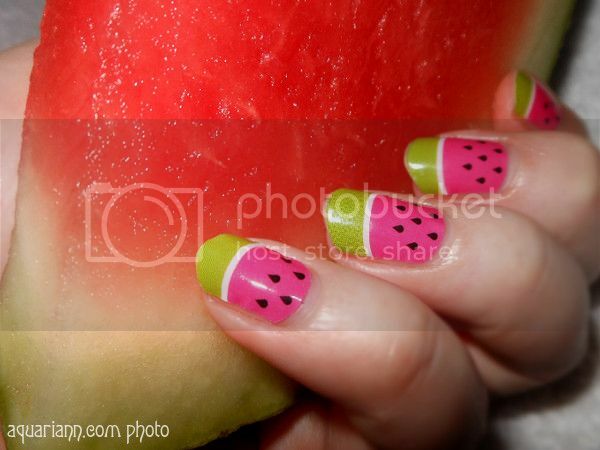 Or if you've done a watermelon manicure in the past, comment with the link and I'll add it to my featured finds below. 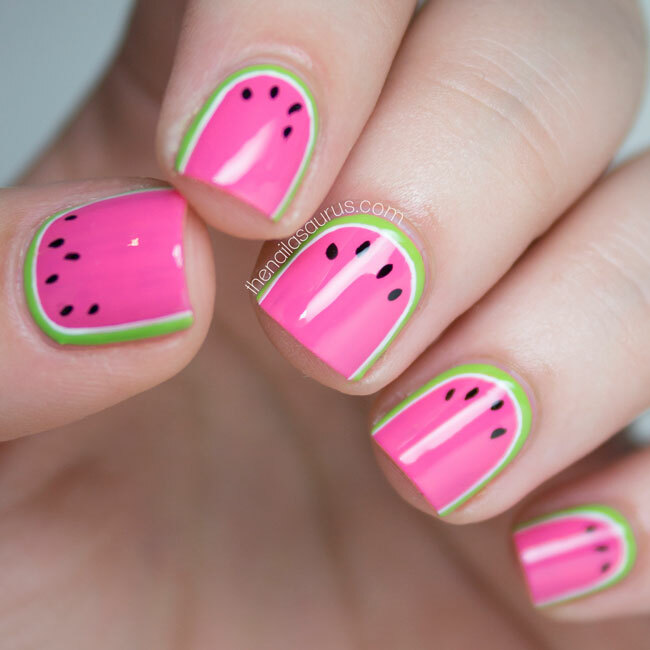 I love this watermelon look! I'm kinda bummed that summer is just about over. Love it! I think I'll do a watermelon manicure this week and post about it, too! I love all of them! Yum-yum! Love the nails, they're so cute and summery!